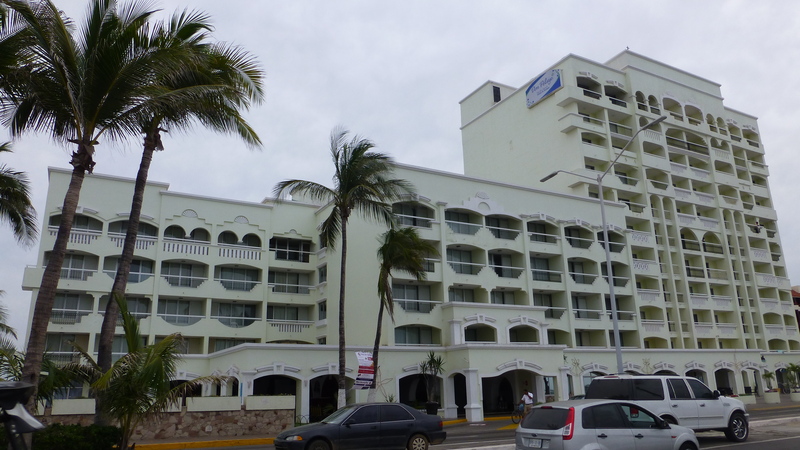 December is a great time to spend two weeks in Mazatlan, Mexico! We have been coming here for years during March/Spring Break due to my teaching schedule and it has always been crowded and busy at the resorts. This year the visit has felt very relaxed as we were able to extend our stay to two weeks. (Thanks mom and dad!) We’ve had time to spend at the pool, on the beach, and to do some things we’ve never done before. 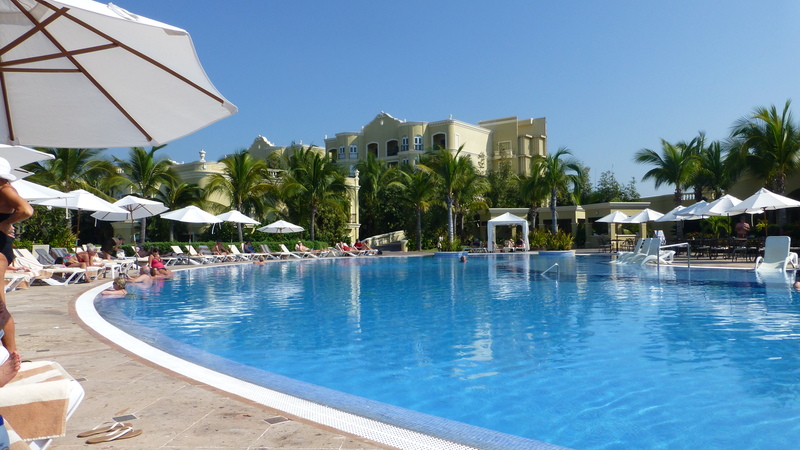 Our first week was spent at our time-share resort Pueblo Bonito Emerald Bay. We enjoyed pool time! With the relaxed environment came new friendships. We spent time with the Davis Family from Montesano, Washington. We hope to see them again when we visit Ocean Shores, Washington in June. When we went to this restaurant at Playa Bruha (witch’s beach) with them, we were introduced to Almond and Coffee sipping Tequila. It is so good, that we are considering buying some even though it will necessitate checking luggage – something we don’t usually do. 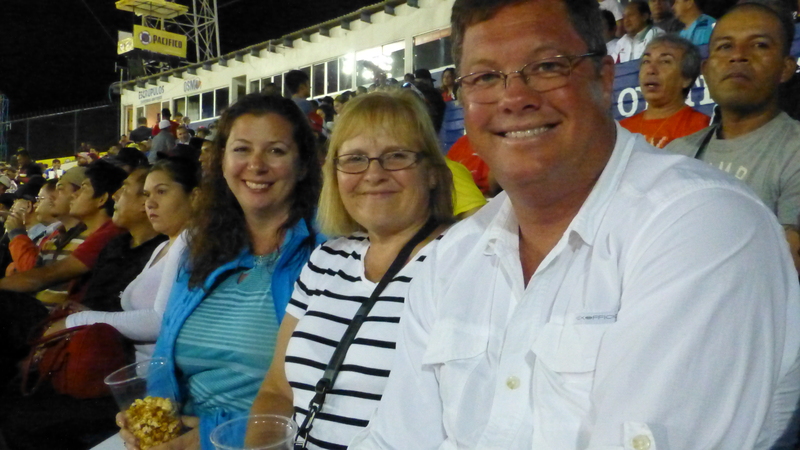 We also met Angela from Vancouver, British Columbia. We have spent quite a bit of time with her and she has an amazing life story. She has traveled alone through much of the world and done things way beyond my comfort zone! We hope it will be possible to stay connected with her as well. 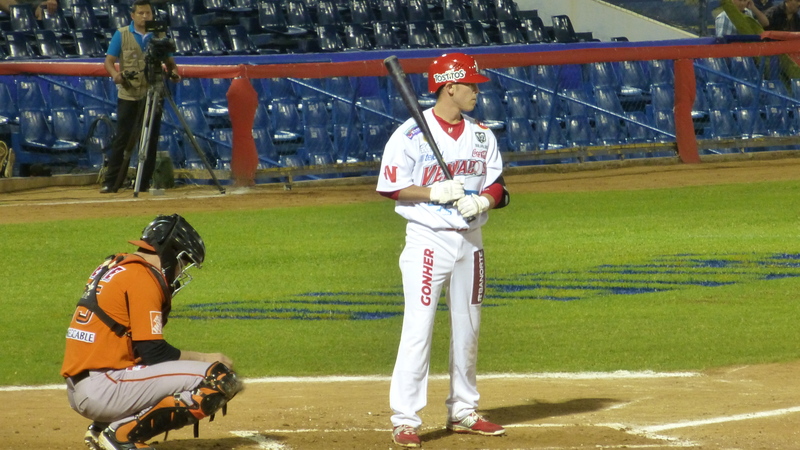 One evening we went to the Mexican Professional Baseball game together when Mazatlan beat Hermosillo, even though the Hermosillo team is the Mexican and Latin American Champions. We thought it was quite interesting that the uniforms were walking billboards. 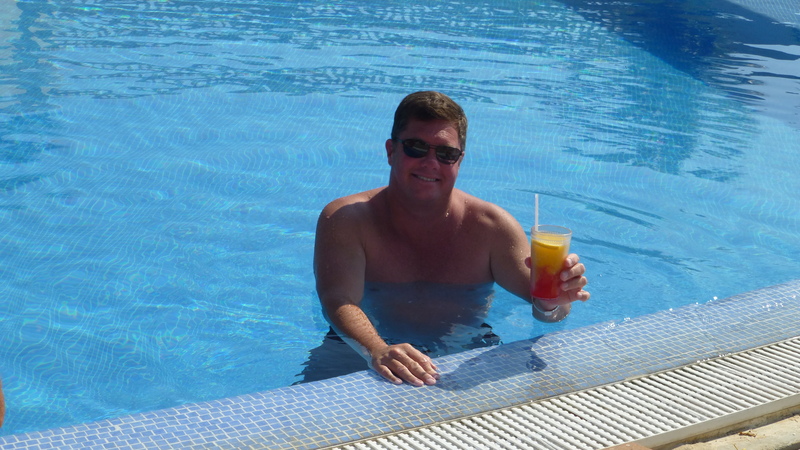 During the second week, we moved to ElCid Marina Beach Resort. Although we were regretting having to leave Emerald Bay, this resort has had some nice perks. Instead of trees decorated for Christmas, there are a few sailboats decked out. They have movie nights and a pontoon boat that goes to a private island. We have been able to see a Mexican wedding and a Christmas party given for the staff by one of the seasonal residents. One of the strange quirks of this place is the available TV. There are local Mexican channels, some channels that voice over Spanish on American shows and then they have DISH – just as we do in the trailer. We have been able to watch the Boise State Championship game and most NFL games. The part that is curious for us is that at this resort we are getting New York City local channels (ABC,CBS, NBC and FOX). We are always having to call DISH to get new local channels as we travel from region to region and yet here in Mexico, they get NYC channels. It is a wonder?! 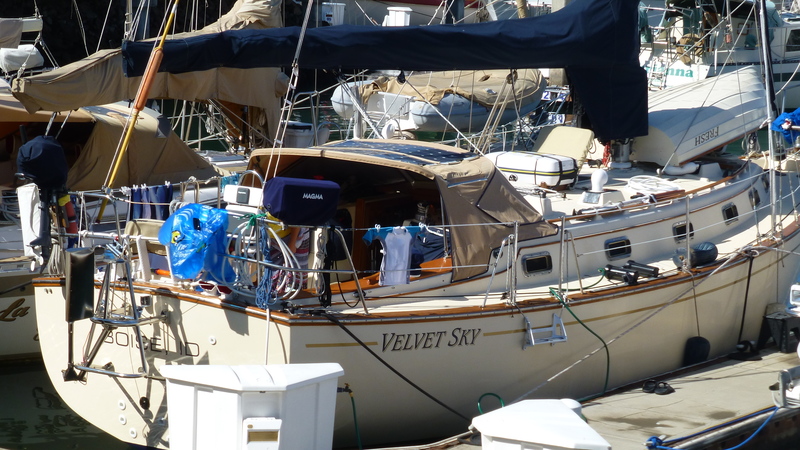 Walking around the marina, we saw the boat, Velvet Sky, from Boise, Idaho and had a chance to speak with those aboard. He retired from Camping World in Meridian, they sold their house in Nampa and took off sailing full time in their boat with their young son. We have talked with a few couples living full time in their boats and that seems even more extreme than what we are doing! It was interesting to hear their stories though. 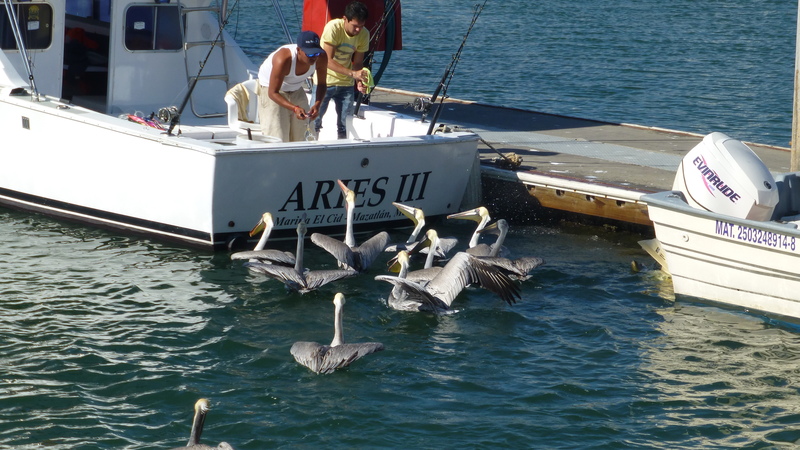 We have also enjoyed watching the fishing boats come in in the afternoon and the pelicans beg for scraps! 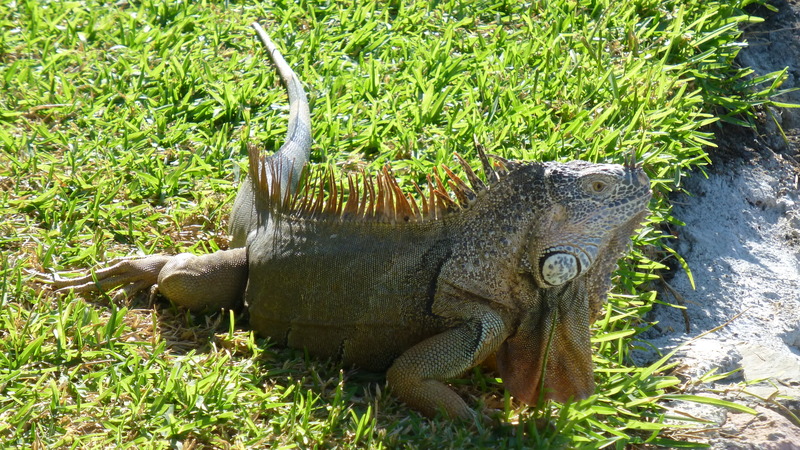 The local wildlife also includes a variety of iguana which wander around. This one was different than the others. He was about 3 feet long. There are quite a few Canadians and Americans who come here for the winter year after year. A retired Canadian naval officer spends his winters working with a Mexican orphanage. 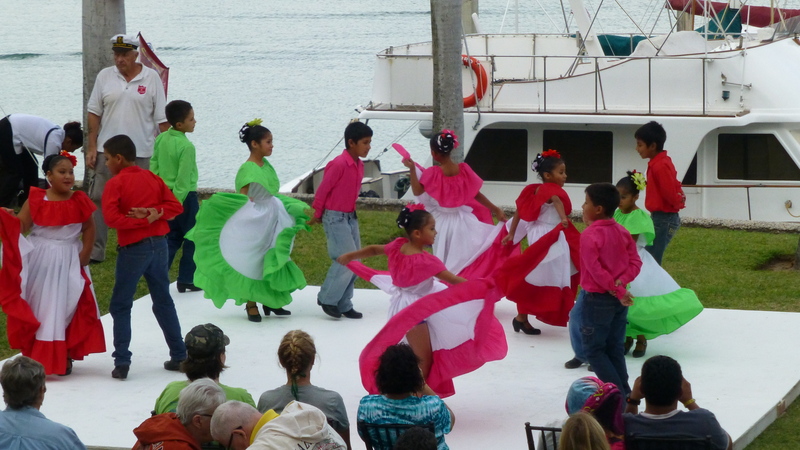 The kids came to the resort and did a Mexican Dance program to raise awareness and funds. The show was conveniently located right out our balcony window. On another night there was a Latin Dance Program. Randy and I went to the the Mazatlan Aquarium and Zoo. It was very different from American zoos! The animals were very close to where you stood to observe them. 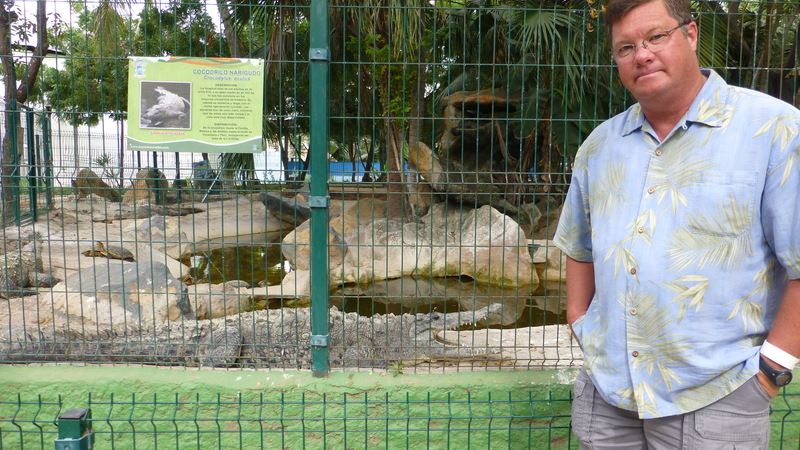 If you were so inclined, you could reach in and touch the crocodiles or the Bengal tiger. Of course, there were signs telling you to “not introduce your hands” but there was very little physical barrier. After the aquarium we walked along the “malecon”, a sidewalk stretching for miles along the bay and beach. 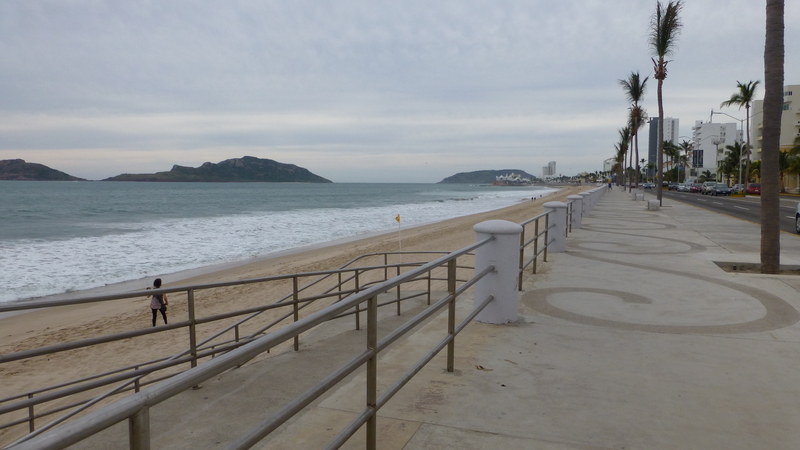 We stayed along the malecon when we came to Mazatlan on our honeymoon in 1980. We have been here numerous times since and have tried to find our honeymoon hotel but couldn’t as we were always zipping by in a bus or taxi. This time, as we walked, we think we found our old hotel. It is painted a different color but the location and design seem right. 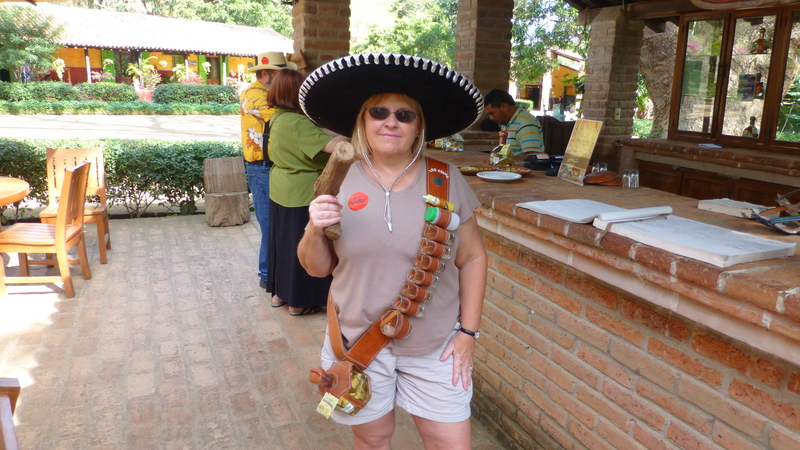 We also took a tour to the Mexican village of Puerta de Canoas. Here we were able to make authentic salsa and tortillas and enjoy a great lunch. We also saw a demonstration of horses being trained to dance. 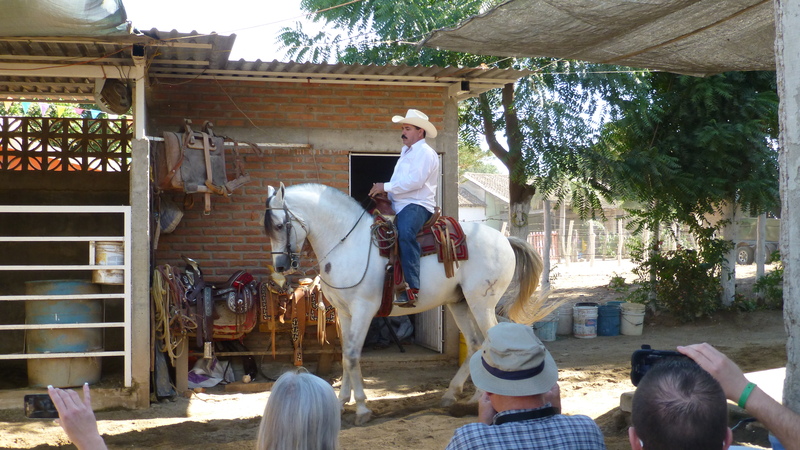 They train Azteca and Fresa horses for about one year. I am not a horse person but even I could see that the Fresa stallions were amazingly beautiful. We were told the breed is from the Netherlands and horses cost $60,000 before being trained. However, the picture of the Azteca turned out the best, and it is a nice looking horse too! We also went to a Tequila Factory Tour, but unfortunately they didn’t have the sipping tequila. 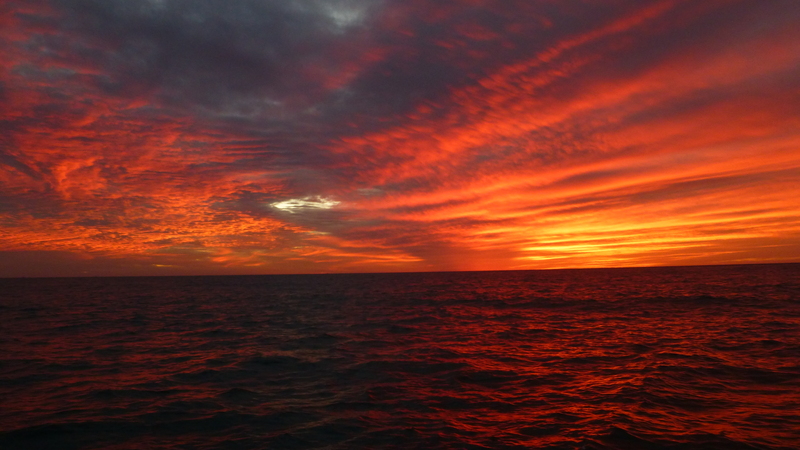 This evening we went on a Sunset Cruise and saw amazing colors! 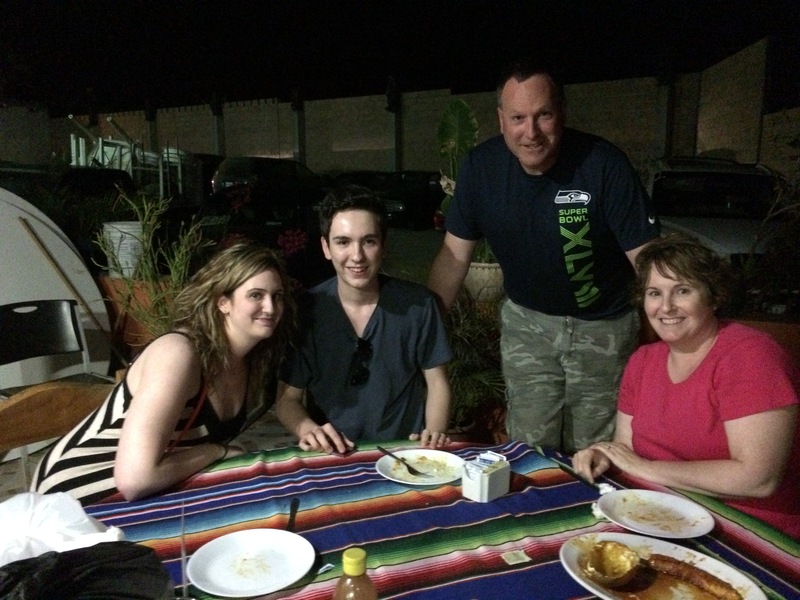 We have had another “muy bueno” time in Mexico. Adios! This has really been ideal, weather wise and lack of crowds. But then there is always Cabo in April!